We accept MasterCard, Visa, Discover and American Express, as well as Airport Vouchers. As you go about your daily business, remember that Yellow Taxi Revere is available 24-hours a day to take you where you need to be. We will take you to restaurants, concerts, nights out, business meetings, Logan Airport, Revere Beach, Square One Mall, and more! Looking for a Logan Airport taxi? Yellow Taxi. Need to get somewhere fast, safely and on-time? Yellow Taxi. We would be happy to serve you and your transportation needs. Ask us about our Senior Citizen Discounts. 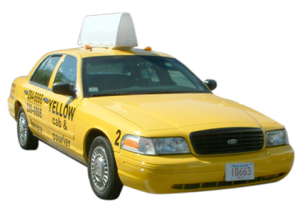 Please give us a call and let Yellow Taxi be of service to you: 781-284-1000.